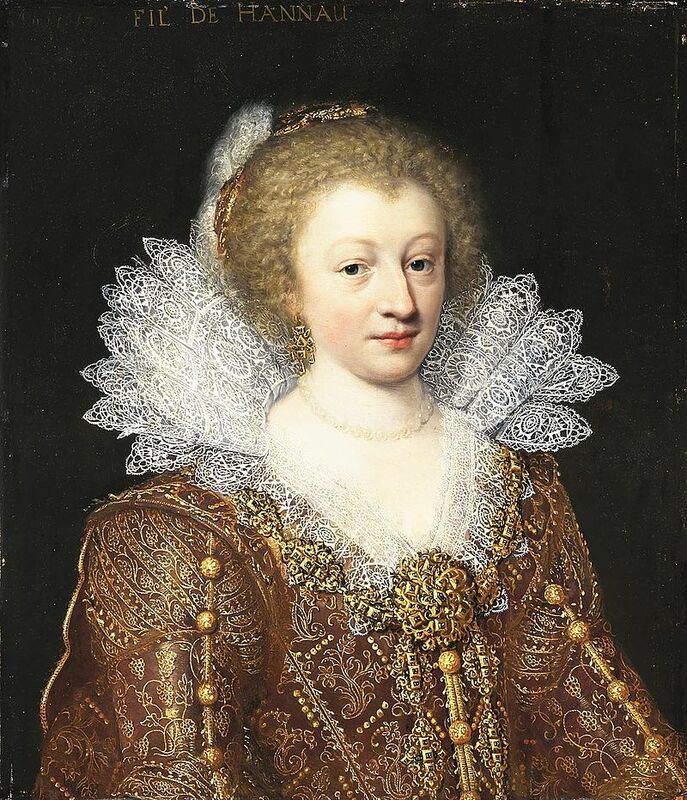 Catharina Belgica of Nassau was born in Antwerp on 3 July 1578 as the third daughter of William of Orange and Charlotte of Bourbon. She was named after her aunt, Catharina of Nassau, who was also her godmother. She was just four years old when her mother died, and her father was assassinated when she was six. She was taken in by her aunt, as opposed to three of her other sisters, who were taken in by their stepmother Louise de Coligny. She was raised as a Lutheran which was criticised by her elder Louise Juliana, who was a Calvinist. Louise Juliana even wrote to their uncle John how much she was saddened by her sister’s Lutheran education. Catharina married her cousin, Philip Louis II, Count of Hanau-Münzenberg on 23 October 1596 at Leeuwarden. She received a gift of 20,000 guilders from the States-General. She settled with her husband in Hanau near Frankfurt. They would go on to have ten children, though not all would live to adulthood. 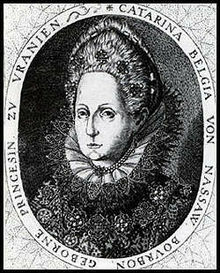 The court at Hanau became a refuge for Protestants, like her sister Elisabeth, Duchess of Bouillon and her husband. They even built a completely new city for the Huguenots, Neustadt-Hanau. History of Royal Women is 4 years old!